Every Mum Should Try Gentle, Pure WaterWipes! 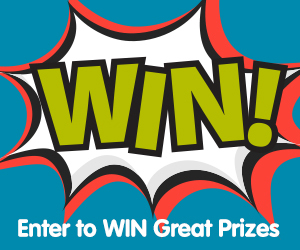 Find Out Why and Win a 6 Month Supply! Did you know a newborn baby’s skin is five times thinner than adult skin? That’s why it needs to be so carefully protected. Delicate skin needs the gentlest of products – and that’s why WaterWipes baby wipes are the perfect choice for little behinds. Everywhere we turn in modern life there are nasties. Chemicals. Preservatives. Additives. Manufactured fragrances. All these compounds can cause irritations and allergies – especially on sensitive newborn skin. We are assured they are safe but why expose your child at all when you don’t need to? That’s why when it comes to selecting products for baby, the purest choice is always the best. WaterWipes baby wipes are an example of just that. In fact, they’re the only baby wipe on the market that 97 per cent of midwives consider suitable for use on newborns* and the first wipe to get approval from both Allergy UK and the National Eczema Association of America. So, why are they garnering so much praise? Because they’re 99.9 per cent water – and a drop of grapefruit seed extract – all in the convenience of a wipe. They’re as safe and natural as a baby wipe can be! WaterWipes are designed for the ‘job’ at hand: Sure, they’re pure and natural but they’re also super thick and moist – perfect for even the messiest of nappies! 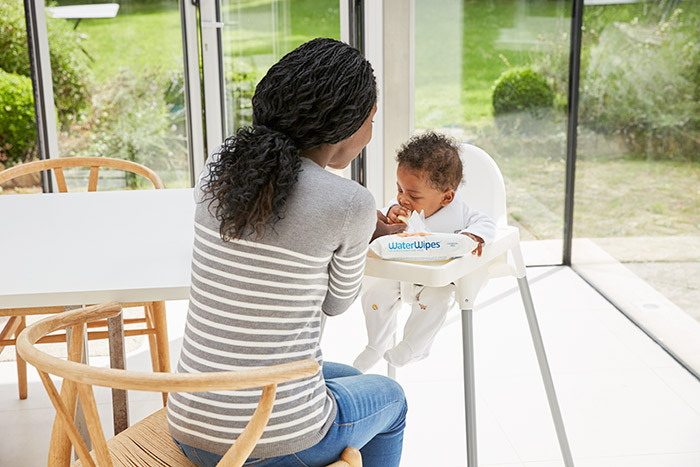 WaterWipes baby wipes are ideal for delicate bottoms: With nothing but softened water and grapefruit seed extract, WaterWipes are the very best choice for sensitive newborn skin. WaterWipes are nappy rash friendly: Using a pure baby wipe is crucial in the prevention and cure of nappy rash. Information from the Children’s Hospital supports the removal of all potentially irritating chemical products when treating and preventing nappy rash. WaterWipes are used and endorsed internationally: They have the ‘big tick of approval’ from midwives, the Allergy UK Association and the National Eczema Association of America. They’ve also won awards from Mother & Baby magazine and a Black Box Gold Award. Everyone agrees on WaterWipes. WaterWipes are easily available in all the major outlets: Sometimes speciality products are hard to get your hands on. Not WaterWipes! You’ll find them in both Coles and Woolworths plus at Chemist Warehouse, Terry White Chemmart, Priceline and a stack of independents. Another little #win when you’re a busy mum. WaterWipes are peace-of-mind: When it comes to our little people there’s wonderful reassurance in knowing you’re making the very best choice possible. Reaching for a wipe that’s pure means one less thing to worry about when it comes to your child’s health and happiness. This is a sponsored post for WaterWipes. These wipes are amazing as I don’t have a reaction to them and neither does my daughter. Waterwipes are natural and work a treat. We love them. Perfect for sensitive skin as this is gentle on their bum! Great for sensitive skin but also practical and absorbent. I would like to use Water Wipes on my newborn. Great for sensitive skin and the prevention of nappy rash. I love that rhey are chemical free. My husband and I both have sensitive skin and assume our bub will too!! These water wipes were the only ones I could use when my Bub suffered from dermatitis on his face. They’re the best! They are they only wipes not to irritate my niece’s eczema-prone skin. I love that they only contain water and grapefruit seed oil and no other nasties, keeping it natural for precious bottoms and all the other uses! I love that they are natural without all the chemicals and they are so moist and clean really well. I really love how natural and gentle this is on baby’s skin. Being a first time mom, I’m so scared about rashes, hurting my baby’s skin… finally, there is a gentle way of cleaning those nasties that is all natural for the sensitive parts of his body. Gentle and natural on my baby’s skin. I love that the ingredients are simple and natural just as mother nature intended it! These are fantastic. I use them on my baby girl and they are so great for her skin..I recommend them to everyone. Grabbed some of these from the chemist and I don’t have a bad word to say. Not a massive fan of chemicals and thinga on my grub because kids are allergic to everything these days so got these to try. Work exactly how they say they do and great for his face and hands if I need them. Great for my hands too! Would definitely love to try these as they are chemical free!!! I would love to try as they are chemical free and natural! They sound perfect for delicate little bottoms. Who doesn’t love the idea of chemical-free when it comes to baby!? I try to avoid exposing my babies delicate skin to chemicals as much as possible, Waterwipes would definitely be the way to do just that. The lack of chemicals, being pregnant with my first child and a allergy/rash person, what to use in their delicate skin is something I’ve been thinking about. These wipes sound like the perfect combination of convenience and safe!! These are the only wipes that dont irrate my toddler and babies sensitive skin, i wouldn’t use anything else. Love the fact that there are no nasties in them. I have super sensitive skin and I cringe when I have to use ones that are new, not knowing if I’m going to end up blotchy and itchy. These wipes are great and I love that they are chemical free! With a little one with severe ezcema I know when I use the Water wipes I am not harming his skin. These are the only wipes that don’t irritate my babies eczema!! I love that they are not full of chemicals! I love to try these wipes as my daughter has been having problems with bad nappy rash and eczema. Haven’t really found any wipes that have made a difference and have tried a few now. I use cloth wipes for my kids, which is all well and good if I’m at home… but if I’m out, it’s kind of a pain. I need a tap within reach and to be able to wet the wipe fast enough that my kid doesn’t realise they’re naked and try to escape. Water wipes are fantastically convenient (especially for the car), while also knowing that they’re not full of chemicals that hurt my kids’ skin. Eczema is a problem in my family so I’d love to try such a natural product that contains no nasties to irritate our skin. I’m excited to try water wipes with my first bub because I’m dedicated to using natural products on my baby’s skin.. what’s more natural than water? The nurses used these on my baby boy (twin) bottoms when he was in hospital for heart surgery- every since then I used them at home as his bottom is so sensitive and I love them! As mum to an allergy bub something like WaterWipes would be a life saver as nappy rash happens frequently! I just want to try something. That will be good for my babies skin. These will save so much time instead of making my own chemical free wipes! Great idea! I love how pure they are, it would be great to be able to try these on my baby who suffers from eczema. I’ve tried them with my first baby and they were so perfect but so expensive as well. I’d love to give them another go with my 5weeks d who currently has really bad nappy rash and has for 3 weeks after having a reaction to cows milk he poops very often. my son has severe ecezma. The only wipes I can use are waterwipes, if i use anything else he flares up. Unfortunately the ones In my area are very $$ so winning this would be amazing! They are chemical free which is crucial for sensitive baby skin, plus they are thick and moist so will be up to the toughest challenge! Waterwipes are natural and work a treat. Easy to use and chemical free. The baby skin can not be more thankful for this lovely product . Love that these are chemical free & I love knowing that I can wipe my baby girls bottom and there are no nasties soaking into her skin. Would love to win this! Chemical free and gentle on skin! I love not having to worry if my child will get a reaction from the wipes! They are think and soft and work wonderfully! I usually use just water on my babes skin but find it harder and use pre-made wipes when we are out of the house. It will be excellent to be able to use water wipes out and about! My daughter has very sensitive skin, and these wipes are amazing especially being chemical free.. we have enough chemicals in our everyday products, choosing chemical free is definitely the way to go especially when she decides to put in her mouth – I can at least relax with ease knowing there’s no crap in it! They are great for babies with sensitivites. Love them! Won’t use any other wipe. My daughter has never had nappy rash so I recommend these wipes to everyone! All Natural – you can’t go wrong! My son has such sensitive skin and gets bad nappy rash. These have been the best wipes for him. I’ve heard great things and would love to try these. They would be very convenient instead of bringing a tub of wet face washers. Would be great to trial them out. Love how they are chemical free. Perfect for sensitive skin! Love all natural water wipes! They are soft, gentle, not too wet, not too dry and they treat my little one’s skin so well!!! Water wipes is actually my first option. Because it s chemical free. I have goggled all the information about a safe wipes. And no 1 is water wipes. Unfortunately its quite expensive. I’d love to try these wipes – seeing they are thicker with more moisture – making it better and more economical for nappy changes. Also being a natural wipe I would prefer go use it on my baby’s delicate skin. Thank you for the opportunity. I am expecting twins and i am looking to buy something convenient that save me time and energy and helps me to make it a little bit more easier also my prior interest is that wipes will be safe and does not have any chemicals that might cause any harm for my babies so water wipes are my best option!!! I’ve not yet tried the water wipes, but I really love the idea of using products that are as natural as possible while still being really convenient…and from all I’ve read, these water wipes seem to fit the bill! I dont have a baby….I have a poop-a-saurus. These wipes are all natural and very effective during the mission Im on when cleaning him up from an inevitable poop explosion. Love em!! We like them because they don’t have an overly strong fragrance, and are good for more than just wiping babies poohy bums. That they’re good for the kids and us big kids too. Yes, we keep a pack by the ensuite toilet as well. I just need alot to wipe my baby at each nappy change, plus before and after each meal, clean up all his disaster! I love that WaterWipes contains no nasties and is 99.9% water meaning its gentle and perfect for my babies soft sensitive skin. I love how natural these wipes are yet they are still so effective. Love that their all natural and no chemicals. Would love to use these on my 2 week old baby boy!!! I’m a first time mum and feel like I have no idea where to start! These wipes would be a great help to feel my through the darkness with. I love that they’re chemical free which is utmost important to me when it comes to my baby’s skin. Would love to be ever so lucky and put them to the test. I love these water wipes! My bub has super sensitive skin and they are perfect for her! They are Natural enough to use on any part of the body! Giving me peace of mind that my little man is not receiving chemicals through his skin! I would love to win these for my son who is sensitive to everything. Water wipes are amazing! I love that they are so pure and natural and perfect for our baby’s skin! Only the best for our baby! They have no nasty stuff. And the moisture content and durability of the wipe makes for an easy clean up. Love that they are chemical free but tough enough to get the job done! I love that with Water Wipes there is no surprise nasties; they’re just as the name says, Water-Wipes! I tried these for my newborn baby and haven’t looked back. I also changed over to these with my toddler and wish I new about them when he was a baby. You can’t get any more pure/natural then water!!! Love that water wipes are so pure.. I use them for everything (nappy changes, wiping dirty hands and faces, cleaning up messes after meals out, wiping the car/furniture/any surfaces my toddler touches – heck I even used them to polish an apple clean one day when I was travelling and couldn’t stop to wash it).. I would never do any of those things with a chemical filled wipe!! Such a great product! Great for sensitive skin! I love the idea of the water wipe is pure; with no nasties chemical. They’re 99.9 per cent water – and a drop of grapefruit seed extract – all in the convenience of a wipe. Which I know this wipe as safe and natural as a baby wipe can be! Pure. Soft. Gentle. Non irritating to baby skin. Great product. So excited to meet out little bundle next month, I’ve already got a few packs of these water wipes for our baby, I would love more! Definitely the safest and best choice! My baby has very sensitive dry skin, episodes of eczema and even burns from from her stools. These wipes are a god send! So so gentle on her delicate skin. Absolutely love the water wipes, have used them ever since they came to shelves! It is great having a product with so little ingredients and such great quality! Currently 40 weeks with boy no 3 and these will definately make my crazy life easier! My son has very sensitive skin and water wipes are really great. Just finished a sample pack from my maternal health nurse. It’s great to finally find natural wipes for when the twins arrive! So nice to use a chemical free product on our special little people and their delicate skin. And I love how wet these are and how few you need to use. I love that they are gentle on sensitive skin and chemical free product. It’s surprisingly hard to find chemical free wipes, without unnecessary additives that babies just don’t need. Find water wipes are just as effective, and no nasties. These were the first wipes I ever used on my baby’s bottom and haven’t looked back. They smell nice as well. It’s pure water so no ouchies on the skin when using them on sensitive skin! The lack of chemicals is what drew me to water wipes. They’re the only “water” wipe that has no chemicals. They’re the only wipe I used on baby 1 and will be the same for baby 2. No nasties on my little boys bum! My daughter is prone to bad nappy rash so I’m always on the lookout for products that are gentle and effective. My bubba has had reactions to wipes and certain types of nappies in the past, so wipes with no chemicals would be great for us! I love the purity of these wipes, and that they are so safe for my little ones’ delicate skin. Would love to try a more natural product when my little one comes along in a few weeks. Love water wipes! They are the only wipe that has been near my 3.5 month old. Love that you can use them head to toe, that they are chemical free and never dry out. The only wipe I will use! I love that Water Wipes have zero nasties in them! No chance of a reaction on bub’s skin. We used Water Wipes exclusively when our daughter was a newborn; we’re about to have #2 and hope to exclusively use them again. I love that they have not given my baby a nappy rash at all – and when I used another branded wipes (for an emergency) she got a rash that Water Wipes then cleared within a day!!! Amazing product. I love that they are chemical free and the most safest option for my little one’s sensitive skin. They are also great at cleaning up “poonami’s” as they really are so wet (and not dry like others in the market). Soft on delicate skin and easy to use. My twins love to put them in their mouth and i take it away knowing there arent any harmful chemicals inside. I have tried few brands and water wipes seem to be best and help with bubs bottom and not give her a rash. I absolutely love them but sometimes to budget can’t afford so would love to win. They are soft and moist. 1st baby will be here very soon, can’t wait to try them. All my friends recommend them for baby, and also for mum in the early postnatal period! These were recommended by our midwives! Becoming a mum in 7 weeks and I have spent forever researching how to protect my baby from nappy rash – from all the products on the market Water Wipes seem the best!! Water wipes are amazing! The perfect thickness for sticky food mess that wont leave bubs with nasty cheek rash! Gentle on his bottom and the most sensitve baby skin. Also nice and wet without being too much. Love them!! So gentle on sensitive baby skin! I love how pure and gentle these water wipes are. They are rather costly, but I use them when my son develops a nappy rash because they’re so gentle, any other wipes don’t allow his rash to improve as quickly. I would love to win this supply to use them all the time and see if it decreases his frequency of nappy rashes! I love that they are so big and moist! You only have to use one! I also love that they don’t give my little one a rash, like other wipes do!! I’m severely physically disabled and Water Wipes are so convenient used for personal care for me. Also take a packet when I go out, plenty thick enough to clean my hands after delicious hot cinnamon donuts, or hot chips with gravy. The reason I’d like to win though, is because a young lady I love very much is pregnant, and I would love baby Scerri to be started on the best. They don’t remove an entire layer of skin when you use them! Every member of our family has suffered from having ultra-sensitive skin so WaterWipes are perfection plus. My family has sensitive skin, so I could share them with everyone to try. I love that they are just water and with a hint of grape fruit seed extract. No chemicals or perfume! WaterWipes are nappy rash friendly which is ideal for our boy who has sensitive skin. The fact I can pick them at the main stores such as Coles and Woolworths is great. Would love to try to them as they’re rash-free which other wipes aren’t. I love how WaterWipes aren’t full of scary chemicals! These are the ONLY wipes I will use on my son. He gets eczema, so I won’t even consider using any of the other wipes, with their nasty chemicals. Next week, we are heading overseas for a month, so I have stocked up and will take a months worth with me, as it’s not worth risking it with any other brands. I had run out of water wipes and used another brand until I could get to the shops. My daughter’s bottome became extremely red and it wouldn’t go away. I took her to the doctor’s and he said due to her skin being so sensitive (eczema) the other wipes had given her chemical burns, I felt like the worse person in the world. Needless to say I always make sure we have spare packets in the house and car! They may be more expensive but they are worth every penny! The hospital my daughter was born in used them and that’s how we came across them. Can not recommend them enough! My little one has super sensitive skin, so this would be IDEAL. Plus, they are thick and wet, no breaking, tearing and scratchy feel. Lovely product. Crossing fingers. I love the chemical free aspect, baby will be exposed to enough as it is so I’d like to try them! Love to try it since it is just a good product being water based and harmless for babies. Purest water wipes to ensure the purest baby’s bottom! Super gentle on his precious little baby skin! I love that they are chemical free and great for sensitive skin. I love that the wipes are chemical free and would be great for my son’s sensitive skin. Chemical free and great for newborns. How good will that be! My baby has sensitive skin so these are great, soft, not dry and don’t tear. I’ve tried lots of wipes and love that I can pronounce what is in WaterWipes! Only brand I really trust. I swear by Waterwipes. When my bubba got his first bad nappy rash, the nurse suggested wiping with a wet tissue, then sudo cream. I thought that too much fussing about when you have a poo explosion and you can’t leave you baby alone on the change table while you wet a tissue. I went searching for a wet wipe without the nasties. That’s when I discovered Waterwipes and I never turned back. Pure, no nasties and no nappy rash.ever! They are soft and chemicals free! I’ve not used water wipes as this will be my first child but i havr heard great things about them. I love that they aren’t full of harsh chemicals. 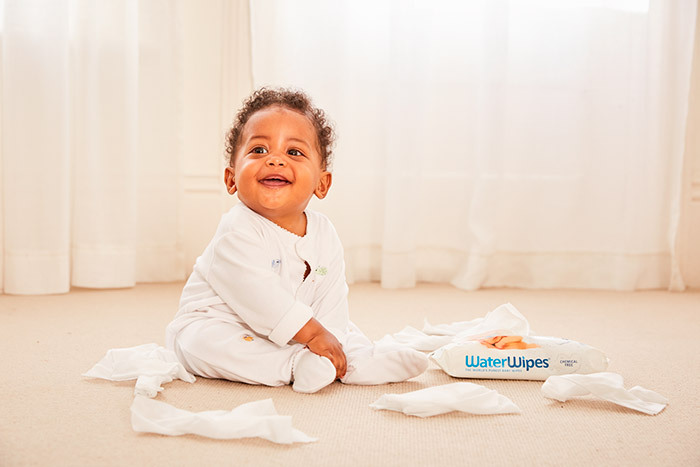 Water wipes are as gentle as babys’ bums are soft! I love the fact there are no nasty chemicals !!! Love that Water Wipes are free of irritants and gentle enough for my baby’s sensitive skin unlike other brands. After trying a sample water wipe at a baby expo there was no going back to any other brand of wipes. Love Water Wips for the whole family. I love that they are chemical free and good for baby! I loove water wipes. My little one has a sensitive tooshie and i love knowing what goes on tbeir little bottoms. Ive wiped my face with a few other brands and been horrified with stinging so i like to be mindful of how it feels for them. Love water wipes, with only 2 ingredients they really are the purest wipe on the market. Even with organic wipes you still see a million ingredients! I love that they’re better for babies skin! Better for our babies skin. Why wouldnt you love it? I was first introduced to water wipes when my bub was in the NICU after birth. I found them so delicate on his newborn skin, while still being effortless in cleaning up any messy situation! Now that he’s a toddler the mess only gets bigger, so we’d love a 6 month supply of water wipes to have on hand! I have never used water wipes actually. I do try and get fragrance free ones or ones for sensitive skin or bamboo wipes tho. I probably should have used water wipes at least once tho I reckon. When my baby was born, I did use pieces of cloth my mother so lovenly cut, along with a water solution and special soap mix. Then I went and just bought like Huggies wipes or something. Water wipes are a staple for my baby – so many used and no risk of rashes! Love them!!! I fell in love with these wipes, after I tried a sample from the maternal child health nurse. Ive tried all kinds of wipes and this is definitely the best one Ive found so far. Its affordable, its pure and natural, no nasties, and its convenient to find in pharmacies and supermarkets. After having three children and used many products out there, I would highly recommend these water wipes! Can’t say I’ve ever tried them but after all the positive comments I will definetly put on my baby list for my bubs due soon!! To wipe anywhere and everywhere without worrying about harsh chemicals on bubbas skin. I love how natural they are. Water Wipes are perfect for my baby’s sensitive skin, I love it has no nasties! Containing no ‘nasties’ is so important to me…especially when my child has a tendency to put anything in his mouth he can reach. These are great for the whole family to use and no irritation is guaranteed which we love. I love the fact they are natural and safe for my precious baby boy! Love Water wipes because they are so gentle on my little girls skin. The only wipes I use on her. After use water wipes allow your baby’s skin to breathe, not partially sealed which can aggravate nappy rash. We both have sensitive skin. These are the only wipes that don’t aggravate my skin at all. Fragrance free= no toxic chemicals to retain the aroma of them. 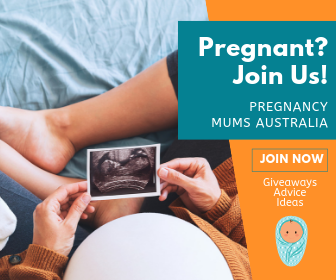 Would love to win this as my newborn girl has very sensitive skin, would love to get something that doesn’t aggravate her little bum when there are so many nappy changes to be done! The most natural thing for such a sensitive part. I tried them at my son’s daycare and they’re fantastic! No nasties makes them best for baby’s bum! They’re handy for so many things, wiping food spills, baby’s faces, baby’s bottoms, all kinds of things. Every day we are exposed to chemicals in skincare and modified ingredients in food … why should we be exposing our children to these from a young age when their endocrine system is still developing? Water Wipes leave my tot with soft skin free from irritation which ensures he stays comfortable during changes. Not just for babies – so useful for absolutely everything! They never dry out and can be wiped all over the body without having to worry about chemicals. I’d love to win a supply because they are so handy for the whole family and Master 2 is shortly arriving. just a quick clean up for bums, faces and sticky fingers. Being natural without chemicals is always the best! That they are the most recommended wipe to use on a newborn & with bub 7 due anyday I would love to try these because they are chemical free and still strong enough to clean the biggest messes. That they are the most recommended wipe to use on a newborn & with bub 7 due anyday I would love to try these because they are chemical free and still strong enough to clean the biggest messes especially those of a newborn. Instant clean in a box…handy, take anywhere and easily dispensed. No having to rush off to wet a cloth to clean up little bottoms, drooling chins, that bit of sleep in the corner of an eye or settle down that hair “cocky”. Chemical free is reassuring that my little one will not have an allergic reaction also. I love that Water Wipes are chemical free and don’t have to worry if my daughter will get nappy rash when I use them. They also tend to be more wet than other baby wipes so they clean better. No chemicals or preservatives Is such a big positive. Water wipes are the best for my newborn, I switched from Huggies after 2 days. The wipes themselves are bigger so you can clean more with each wipe, no chemicals so I can use them on her face and hands, and they stay really moist and fresh in the packet. Won’t use anything else! Love the fact that they’re a natural alternative! so many highly chemical treated varieties out there. The last thing you want to be exposing your new baby to! I love that its 99.9% water no added chemicals or additives its a natural alternative. When you have a newborn you don’t want to be using harsh chemicals not knowing what your putting on your child this is amazing. Being a first time mum due in a few months, I am stocking up on essentials! I love these wipes because they are ‘no nasties’ and gentle on the babies skin, multi-purpose and an absolute essential for me! They’re natural and chemical free! Perfect for delicate little bums! I like the idea of chemical free. My son has sensitive skin so im cautious about what i use on my little miss. Will have to give them ago. They were not always easy to obtain, I like the fact I can get them now from the supermarket and chemist warehouse, with the rest of my shopping. Everybit helps, natural wipes, natural creams, love the new products. There’s no question! There’s no better wipe than water wipes and I simply won’t use anything else. Our chemical free home extends down to the tiniest of details, including our little ones wipes. Just water means no irritatation and no absorbing toxins. I like that they are gentle and natural, my bub has eczema and I cant use other brand wipes on his face as they cause a flare up so would love to try these. Would really love to try these wipes, they sound amazing! OH my God I love Water Wipes and use them ALL the time! My little one has eczema and allergies – and Water Wipes are the only brand that I trust, others result in rashes. The lack of additives means that we are safe from reactions (both on my son and on my hands – I also have eczema!) PLEASE PLEASE pick me as this prize would be a true god sent! Thank you! i can only use water wipes with my son he has sensitive skin and gets horrible eczema water wipes are the only ones that dont agitate his eczema. I love water wipes as they are so gentle on my kids skin without all the harsh chemicals. I love that water wipes are so pure and gentle with no nasty harsh chemicals for bubbas little bum. My second son suffers from bad nappy rash, would love a product that doesn’t hurt his poor bottom after those teething poo-spltions. They’re safe and natural — without all the harsh chemicals that other wipes contain. I am so grateful to have discovered these wipes after my newborn had a horrible reaction to aldi nappies and also huggies wipes within in his first 24hrs. After switching to water wipes his rash had cleared up within 12 hrs, I won’t use anything else on him now. Finally a wipe that won’t make my daughter’s (and baby on the way’s) bum red!! God send!! Chemical free works for me. Ideal for the little ones sensitive skin. I love that water wipes are natural and chemical free! I love that they’re thick and moist, and so very versatile! I use wipes daily for everything, but haven’t tried WaterWipes. Would love to see how well they do at cleaning compared to other brands. They are more natrual then alot of other wipes and i love knowing its not harmful for my children, weather its cleaning my youngest bum or wiping hands. Perfect for our sensitive skinned family! No chemical nasties, just gentleness. Love that they are chemical free. Perfect for sensitive skin. They are the perfect wipe for my darling twins. I though one child was hard, never expected to have 2. Mess is doubled and so is the wipe usage. I wouldn’t survive without wipes…..
My son reacts to some baby wipes so it would be interesting to try these , I also run a Family Day Care so go through a TON of baby wipes every week , we use them for everything !! I have 2grandsins and 1grandaughter who has sensitive skin so waterwipes are the perfect option for them all! I love that these are chemical free. My three boys all suffer from eczema. I wish I had known about these with my older two although it’s not too late for my third! Great and convenient. No more dirty facewashers. Being a new grandmother I only want the best for my grandchild. Your wipes are the best on the market. I’d love to use them because they are so gentle on delicate skin. My bub inherited my skin allergies so I know these will be gentle and prevent anything from flaring up! I love that there is no nasties and they are still in a convenient pack you can take with you when you leave the house. Would really like to try them out to see how they stand up! I’ve been using Waterwipes since my first bub was born this year in May because I suffer from eczema & dermatitis so I wanted something gentle to use on his delicate skin! So far he is rash free and this Mummy loves them! With all the chemicals filling up everything we use, it’s great to be able to use a natural and gentle product, giving busy mum’s peace of mind. Little one with ‘itchy scratchy’ allergic reactions to so many things and new babe due in 3 weeks….Water Wipes would be wickedly wonderful for toddler cleanups and nappy changes. they are as close to a natural product as you can get. Nice and simple – pretty much just water! Sounds good. New grandchild arriving in 5 weeks. Would love to give her the best start in life with a chemical free, soft, hygienic wipe. No rashes on baby makes mum happy. I love how Water Wipes are chemical free so no nasties touch my precious baby’s skin! I try and avoid chemical nasties in our home, and this is even more important for my newborn daughter’s skin! I would love to try the Water Wipes! My little girl is the most precious thing in the world to me, and her skin is just as precious as her beautiful self. Water wipes keeps nasty chemicals away while making sure my baby is always clean. Clean baby = happy baby! I love that Water Wipes don’t have the nasty chemicals that many baby wipes have. So they’re gentle on my baby. Water Wipes are perfect for both him and mum. They never go to waste! Paediatric Intensive Care uses them – the best endorsement ever! The fact they are happy rash friendly and for sensitive skin is a massive help to any mum! Free of chemical nasties is amazing! Everything is made up of chemicals, but being able to eliminate the nasty ones for use in delicate areas is fantastic! I love these wipes! There is no harsh chemicals which is great for my newborns skin. I was given a pack of these and they were amazing for my buns sensitive skin! I noticed she didn’t not get nappy rash while using them. I have trouble finding them in shops local to me so would be great to win some! I love these wipes, every time my son gets nappy rash I use them and it helps relive the pain and clear it all up. I love that they are more natural than other wipes. I have sensitive skin and as a 1st time mumma to be I worry my bubs will have the same problem. These sound just ideal! I would love to have something with less chemicals and that is good enough for their precious skin. I love the natural no chemicals aspect. In my job we use another brand of baby wipes which I’m not a fan of as I have seen what the chemicals can do to sensitive bottoms. Both of my kids have very sensentive skin. It would mean the world to me to be able to use natural wipes that don’t give them bad nappy rash. Water wipes are so pure! I love them! Chemical free and gentle on bub. I tried these at the baby expo and found they didn’t leave a residue like other wipes. Perfect for new babies. Gentle on my precious little guys bottom. No chemicals.. love them. I have the greatest gift to love and protect so my choice must benefit my angel.Pure,soft and safe wipes tick those boxes. I love that they are free of all the nasties. Much nicer on little bottoms! I love how thick they are, after my finger popped through on cheap wipes one too many times I was done using inferior products! Love that Water Wipes are natural on the sensitive skin of babies and they can be purchased easily when at Coles or Woolies so don’t have to go hunting for them! I love how natural they are and they are great for my sons sensitive skin. I use reusable cloth wipes with plain water at home, so a water-only disposable wipe option for whilst we are out and about would be great! I love that Waterwipes are made for sensitive skin but have the durability to last even the biggest of nappy changes. Chemical free, good for bub’s skin. We love Water Wipes for our 7 month old son. He suffers from eczema and they do not bother his skin at all. We like to use them to clean his face after eating too. They are “wetter” and more efficient than other wipes and he giggles when we wipe his face with them. So good for newborns!!! Make life easier!! I love that they don’t flare up my son’s eczema! My babies usually have delicate and sensitive tooshies so have to be careful with what I use..so am very interested in trying these! I like the water wipes as they help prevent and treat nappy rash, are perfect for sensitive skin and internationally recognised. Easier to clean up mess & better for bubs skin. Baby wipes are my go to, well they should be pretty much any mums go to item. Except I’m always running out of wipes. If it’s not from baby poo blow out or my eldest using to wipe HIS bum because it feels nice *eyeroll* It’s me from using them for cleaning or make up removing. Baby wipes are the best. Always needed. Winning a 6 month supply of these particular wipes would be s dream come true. Great for sensitive skin and they smell great! My child has very sensitive skin and using anything else causes his skin to flare up. ..these are amazing! Would love to win these. no nasties- I often use wipes to wipe kids hands , face and their table and these are the wipes I always wanted. I love that they are so readily available now and so the job without any extra chemicals. Whenever my bub got nappy rash my friends always recommending just water wipes and it always cleared up so quickly. i would love to try it! i have 3 kids! regular wipes are harsh and if used to frequently i find the skin irritated. but they’re not just for babies! Pure chemical free wipes, the only choice for my soon to be born grandchild. Would love this prize for his/her vegan parents. This product caught my eye because they are Gentle and chemical free – exactly the kind of wipes I want for my baby. I love that these wipes are gentle on babys skin and would love to use them to help protect my sons skin and prevent nappy rash. I always hear everybody rave about them and would love to try for myself! I have not yet tried these wipes but I love that they sound so gentle and chemical free. Everyone’s reviews on these sound great. We only use natural items in our house because we are conservative of the environment and our own health, the fact they are natural is a bonus. I use cloth nappies and wipes, I would love to try these, they look so convenient for sticky hands and faces when out and about! So soft with no nasties and great for babies and the whole family. Makes life so much easier from sticky fingers to sticky bottoms. Trying now to avoid chemicals so my baby gets nothing but the purest of ingredients. Love that they are chemical free and are great not just for cleaning bums but hands and faces too! Ideal for my newborn pea! Unfortunately products with unnatural compounds I need to bin. Amazing Wipes! These water wipes are they only wipes I have ever found that don’t turn my face into a swollen itching mess. Hooray for their clean pure ingredients. a 6 months supply we’d love to win!